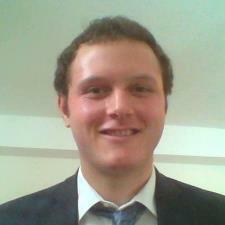 I am an actuarial analyst who has been working in the industry for three years. In college I was a general math tutor in a walk in mathematics tutoring center where I taught all levels of mathematics to students looking to improve their mathematical riguor. I love and have a passion for teaching, and am looking for like minded students who aim to progress through the mathematical ranks and are interested in becoming more proficient in the technical abilities. As a tutor for over two years in college, I have the training and the desire to help turn your grades around and the ability to see to it that you are on a path to a successful and enlightened career. I have tutored math at the college level for two and a half years, and have been working professionally in the industry for three years. My credentials include four actuarial examinations and a bachelors in Actuarial Science from a credentialed University. If you are a young professional looking to make it in the industry as an actuary, or a person interested in boosting your intellectual capital by passing an actuarial exam then you should contact me for assistance. My goal is to help people succeed in the industry and to do so by helping them become the subject matter experts that the industry requires in order to facilitate the further progression of our industry. I have been working in the actuarial industry for over three years, and have tutored at the college level for over two and half years. I have passed four actuarial exams and am working on my fifth exam currently. As part of my Validation of Education Experience credentials to become an associate of the society of actuaries my coursework to become a bachelor of actuarial science required that I pass and become proficient in the subject matters relating to Econometrics. My skill in the area contains a full knowledge of the materials relating to the systems and a software included in the capacity to perform the analytical utilization of those subject matters.